Hey there, I'm up on the Silhouette UK blog again today but this time with a Travellers Notebook spread instead of a scrapbook layout! There is also a tutorial on how to use Print and Cut files so head over to check it out. 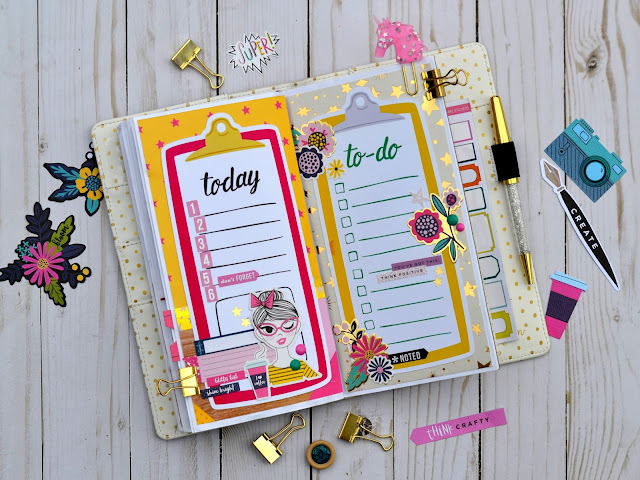 I've used Paige Evans Print and Cut cut files (available in the Silhouette Design Store) and papers and embellishments from the Shimelle Glitter Girl Collection.